Eat Sleep and Play Football! 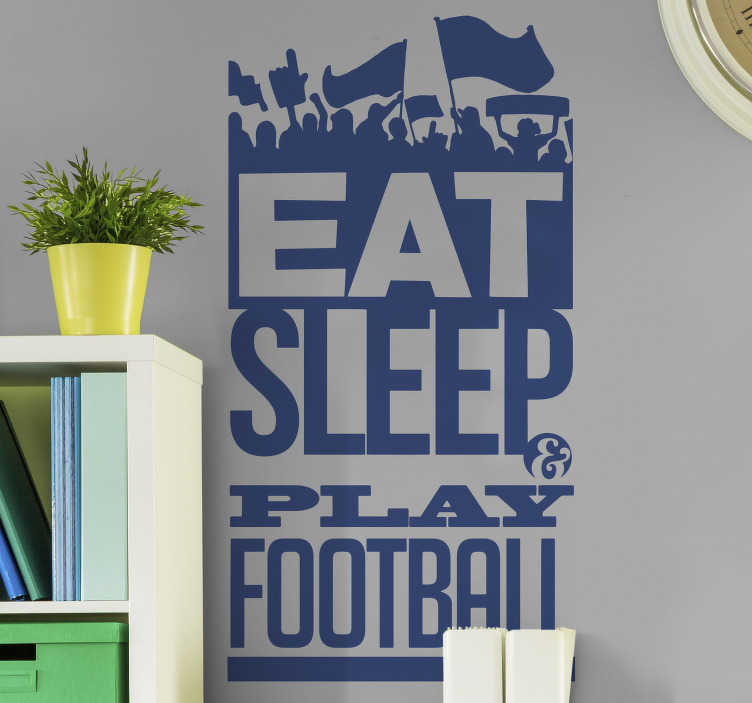 Football is life for a lot of people, and if you are one of those, or if you know somebody who is, then this text wall decal might just be perfect for you! Looks fantastic on any wall in your home! Choose your size and order this sports wall sticker now!